What are your first thoughts when it comes to witchcraft? Is it a magician in a pointy hat and long black rope waving the wand in Harry Potter style? Or do you picture some dark ugly persona doing awful things just by waving hands and gathering power from the nature, supernatural beings, out of this world, demons doing evil spells? Whatever first impressions of witchcraft may be, the strong appeal of unknown cannot be denied. Even fear, because most people connect witches and witchcraft with something evil and forbidden, they can’t stop natural curiosity. 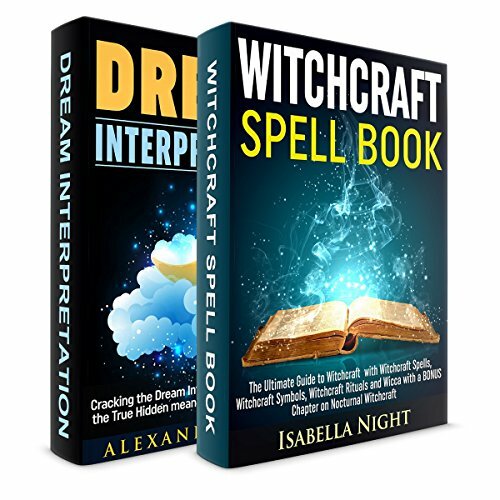 Being your impressions of witches and witchcraft romantic or scary, you should first know what witchcraft is and believe in nature’s supernatural powers are present far longer than today’s civilizations. Unlike the natural sciences, the witchcraft is not just about the material, but also includes spiritual level of nature, which cannot be perceived by our senses, but we can know the conceptual and observe its effects. The starting point of witchcraft concept and natural magic is the profusion of spirit and matter. The spirit and matter provide the necessary vibration and energy, and matter is formed and takes the properties at will and intention of the spirit. Witchcraft uses the force of will and intention that can affect the spiritual dimension of the world, after which there can be an effect on the material level. DREAM INTERPRETATION: Cracking the Dream Interpretation Secret. Find the True Hidden Meaning Behind Your Dreams is the ultimate guide for reading and understanding your dreams. This book will help you start thinking of your dreams as a real and very important part of your life. It will give you all you need to start interpreting your dreams and understanding them. This book will give you advice you need to start thinking about your dreams as something serious and real.